The summer months are now upon us as we take a look back during the first six months of 2016 to see the progress and upgrades that have occurred here at the Age of Steam Roundhouse. Former Morehead & North Fork #12 continues to receive repairs toward a complete restoration of this 1905 ex-Southern Railway 0-6-0. Smaller repairs not immediately necessary were attended to, thus ensuring overall reliability in the long run. 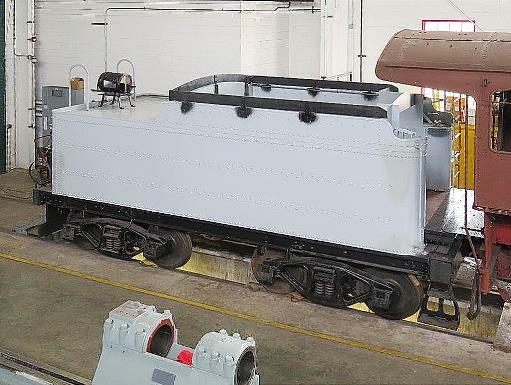 An all-new tender tank was fabricated and re-installed on top of the totally rebuilt tender frame and refurbished railroad trucks. New wood decking was applied to the frame and the tender’s air brake system—including piping, brackets and brake cylinder—was renewed. The entire tender was sprayed with high quality primer, and will be painted in its final coat of gloss black at a later date. A completely rewired and restored tender back-up light was applied. The ultra-sounding of #12’s boiler was completed, and calculations for creating the new Federal Railroad Administration (FRA) “Form 4” are being compiled at this time. Some minor boiler repairs were needed, most of which have been addressed. The next step will be the installation of three-hundred, new, 2-inch boiler tubes later this year. Former M&NF 0-6-0 #12 undergoing restoration. A brand-new fabricated tender tank on #12’s rebuilt frame and trucks. 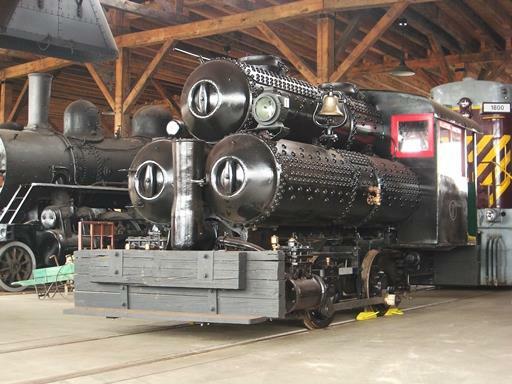 Our ex-Canadian Pacific 4-6-2 #1293 received its annual FRA inspection during April, passed with flying colors and was approved for another year of steam operations. Inspections and fine-tuning of several of #1293’s appliances were completed, including the Nathan mechanical lubricator and 8-1/2-inch Westinghouse cross-compound air compressor. Several small running repairs were also accomplished. 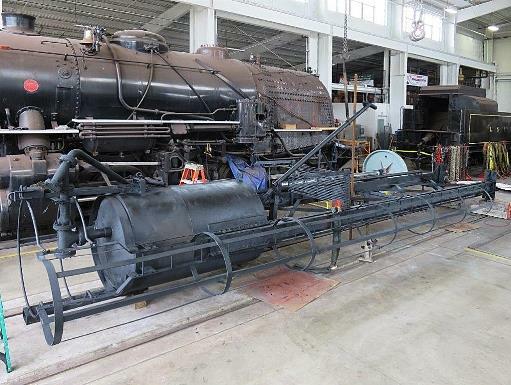 We received long-awaited components for ex-LS&I 2-8-0 #33’s boiler work, and are gearing-up to complete fabrication of the locomotive’s new crown sheet and Nicholson Thermic Syphons. Several long delays have plagued this project while waiting for the proper, high-quality materials to be delivered and pass inspection, but we are now moving forward toward completing this steamer’s repairs as soon as possible. When it arrived in Sugarcreek last December, 2-10-0 #401 (ex-Alabama Tennessee & Northern, later, Woodward Iron #41) was not a pretty sight. However, in spite of its five-plus decades of outdoor storage we managed to descale the overall, heavy accumulation of rust and dig-out numerous spotty layers of built-up, dried-out grease, especially in the cylinders and smokebox areas. New, wooden planks were applied to the footboard pilot and at the rear of the tender, replacing the rotted and missing ones that were on the engine. The re-application of a headlight, bell, class lights, lubricators and other appliances greatly improved #401’s “front-end” looks, but much more cosmetic work will be needed in order to get this fine locomotive looking great again. Former AT&N 2-10-0 #401's cosmetically restored front-end. 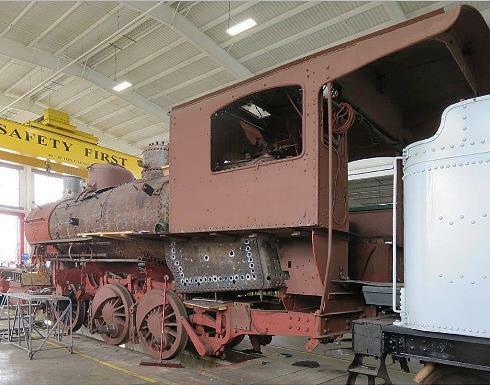 The very rare and even more unusual compressed air locomotive #1 that arrived here last year also got a quick face-lift before being placed into the roundhouse. The entire 0-4-0 was repainted gloss-black, and new cab windows were fabricated and installed. Several key components—particularly the two sand boxes—are still being searched for down in New Orleans where #1 was located since being repatriated from Cuba during the mid-1920s. 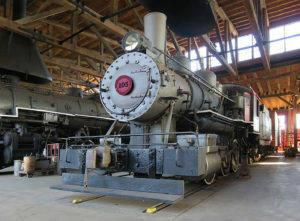 Replacements for parts long missing from the engine were located and installed, including a Porter locomotive bell and an oil headlight that added much toward the appearance of this unique loco. Mechanically, axles and driving rods were cleaned and fresh lubrication added so that #1 can be moved on its own wheels. Compressed air locomotive #1 after cosmetic upgrades. Working with the Wheeling & Lake Erie Railway allowed the AoSRH to take ownership of a small sand tower that was apparently shop-built by the Akron Canton & Youngstown Railroad at its Brittain Yard. This tower stood unused for the past 25-plus years, and has the correct steam-era appearance that we had been looking for. AoSRH employees dismantled the tower, and moved it to our back shop for rehabilitation. This work included making and installing the missing sand-filling pipe and engine delivery pipe, and replacing the long-disappeared counter-weight system. Several small repairs to the compressed air operating system were completed, and the entire structure will be repainted when all repairs are finished. The concrete foundation was formed and has already been poured. We hope to have the tower standing and back in service by July. Former AC&Y sand tower being prepared for installation. 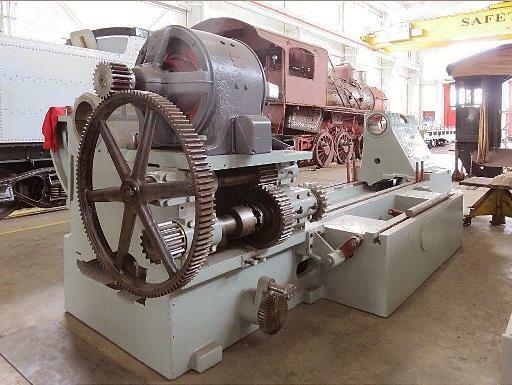 Work continues on the 80-inch Putnam wheel lathe as we inch closer to the final stages of this total rebuild. Most critical components have been repaired or renewed, and re-assembly is well underway. The lathe will utilize a completely new, state-of-the-art electrical system and controls, and a new electrical enclosure is being fabricated for installation.. Currently, the tracer system and tooling are being addressed for purchase. This project should be pretty well wrapped up by year’s-end, based on just how much spare time we can continue devoting to it. Putnam 80-inch wheel lathe under re-assembly. We are always looking to add those small—but interesting—details to the AoSRH facility. 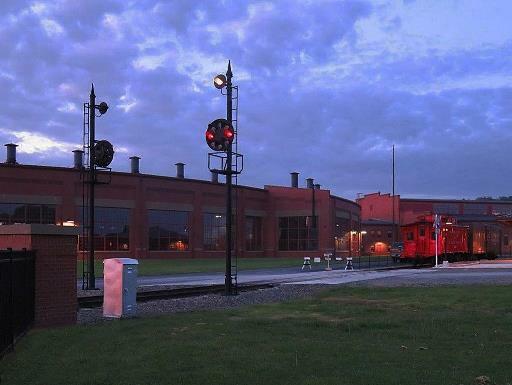 One of these fun details is a pair of newly-rebuilt, Baltimore & Ohio color position light (CPL) signals that now adorn the front entrance to the roundhouse complex. These were restored here early this year using steam engine-era masts, signal lights and finials. All-new wiring and signal gear allow them to automatically cycle into all four indications—Clear (vertical green), Approach (diagonal yellow), Stop (horizontal red) and Restricting (diagonal lunar white). AoSRH employees may also manually control our CPL signals to any desired indication. These lights are real eye-catchers when approaching AoSRH, and can be seen from three different roadway directions. B&O CPL's outside the AoSRH complex. Not neglecting the diesel side of AoSRH, we have done some minor work on several of our internal combustion locomotives. Our two EMD FP40s, #452 and #460, were inspected, repaired, leased and returned to freight service from dead storage. These engines were sent to the Ohi-Rail Corporation here in Ohio, and put back into freight service. 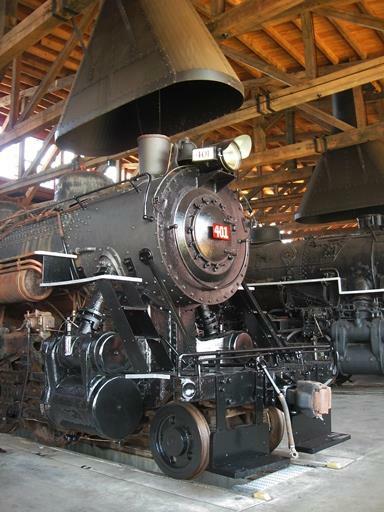 These engines pulled their fair share of tonnage during their days on the Ohio Central Railroad System, and still have plenty of life left in them. AOSX F40M-2C #460 pulls a freight train in lease duty for Ohi-Rail Corporation [Photo Credit - Denny Varian; Ohi-Rail]. The Age of Steam crew thanks all of the wonderful folks who have contacted or visited us during the past year. 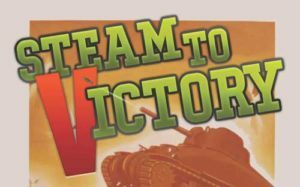 We truly appreciate the many compliments that you all have given us as we strive to create an accurate representation of the days of the steam locomotive. 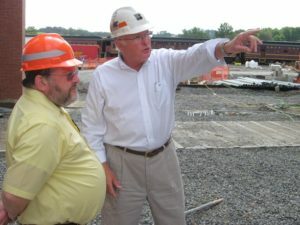 Your input and comments inspire us to try our best to make this the ultimate steam facility for the future. We wish to thank all of the veterans and current service men and women for all they have done and continue to do for this great country that we live in. Without these brave patriots, we could never enjoy so many freedoms that far too many Americans have taken for granted. THANKS TO ALL OF YOU WHO ARE CURRENTLY SERVING—OR WHO HAVE ALREADY SERVED—IN THE UNITED STATES ARMY—NAVY—-AIR FORCE—-MARINES—-COAST GUARD.